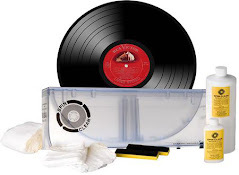 this is just sweet news to any vinyl lover! 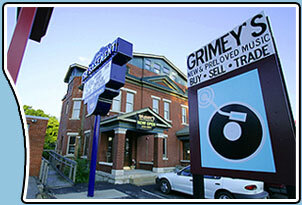 US-Based Sales Of 45 RPM Records Skyrockets! 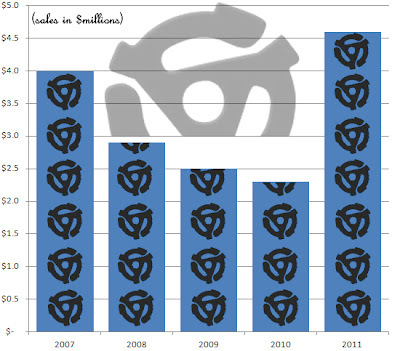 According to new data released by the Recording Industry Association of America, the US-based sales of 45s - called "vinyl singles" have skyrocketed 99.6 percent in 2011. This is based on the retail price of units shipped, which means this only includes new discs, not used 45s. 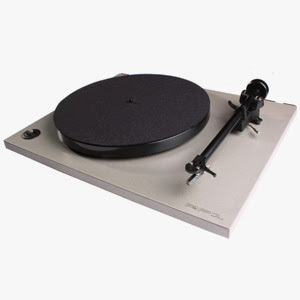 It is also being reported that people spent more than $100 million on vinyl records last year. Unit sales and revenues were both up over 30%. Also announced is that there may be a resurgence in 78s, or 10-inch vinyl records - recently released by artists such as Tom Waits, Elvis Costello and Nick Lowe. The Kinks will re-issue three classic albums on vinyl as part of this year’s Record Store Day celebration. The band will release ‘Arthur (Or the Decline and Fall of the British Empire),' ‘Face To Face’ and ‘Something Else’ on April 21st. ‘Arthur…’ will be a 2-LP edition on white coloured vinyl, 1966's ‘Face To Face’ will also be a 2-LP edition and will come on blue coloured vinyl, while ‘Something Else’ will be available on red coloured vinyl. The three vinyl reissues come with deluxe packaging in both Mono and Stereo mixes, and will be released with booklets designed by award winning art director Phil Smee, packed with rare and unreleased images from the era. 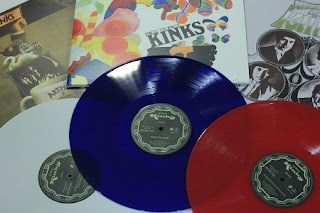 Each reissue was re-mastered from original tapes by Kinks archivist Andrew Sandoval and is limited to 500 copies in the UK, all of which are individually numbered. Concord Music Group will be releasing a Paul McCartney: "Another Day"/"Oh Woman, Oh Why" [7" vinyl single/ RSD exclusive / limited edition]: A classic McCartney vinyl single "Another Day" was first recorded in 1970, during the sessions for the album Ram. It was the first single of his solo career, originally released February 19, 1971 with "Oh Woman, Oh Why" as the B-side. Upon its initial release "Another Day"/"Oh Woman, Oh Why" sold over a million copies worldwide. It was a #1 hit in France and Australia, in the U.K. it reached #2, in the U.S. it reached #5. This exclusive reissue single is featured on the forthcoming Paul McCartney Archive Collection edition of Ram coming this spring. A limited edition Record Store Day exclusive red vinyl 12" LP reissue of Little Richard's 1957 Specialty Records classic, ranked by Rolling Stone as #50 in "The Greatest 500 Albums of All Time." Remastered from the original analog tapes, this LP includes such immortal classics as "Tutti Frutti," "Rip It Up," "Slipin' & Slidin'," and "Jenny Jenny." This 2 LP set was cut from a cassette recording of DEVO’s show in Seattle, WA show in November ‘81. DEVO archivist Michael Pilmer (aka Devo-Obsesso), found the tape in a shoebox full of cassettes in Bob No 2’s home fifteen years ago, which he immediately transferred it to DAT. Afterward it promptly disappeared in the flotsam of Devo history. Here resurrected it stands as a testament to Prince’s claim “Devo, you guys are crazy!” Yes, crazy tight and relentless like Caucasian James Browns on marching powder. Enjoy. Paul Simon's Graceland 25th Anniversary Edition Vinyl – Remastered on 180-gram 12" vinyl and includes an art-quality collectible Graceland poster and a download card with the full album plus three bonus tracks. Red, Blue and Clear vinyl. Randomly packed and shipped. Arcade Fire - a 12" version of "Sprawl II" from their Grammy winning album 'The Suburbs.' Limited to 3000 pressings. David Bowie - 7" picture disc of two versions of Starman, the original and a Top of the Pops live edition. The recent surge in popularity of vinyl records has given production companies a unique opportunity to make them even more rare and collectible. 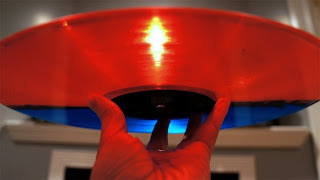 All vinyl records are born from a master disc that's coated in a smooth lacquer and placed on a machine called a lathe. The lathe cuts a groove in the lacquer that corresponds to the music being recorded. Once the lathe is finished cutting, the disc is covered in a layer of silver to form a hardened metal stamper that will be used to press the grooves into the vinyl albums. Enter the vinyl material: little vinyl pellets are poured into a hopper, or chute, which feeds them into an extruder. The extruder melts the vinyl down into thick hockey puck-esque patties often called cakes or biscuits. Typically those pellets are black, but different chemical compounds can produce unique colors (like Pepto Bismol pink) or even transparent vinyl. Solid colors or pellet mixes can be tossed into a hopper and extruded into biscuits just like black vinyl. Plenty of Wellingtonians may not know it exists, but that hasn't stopped Lo-Cost Records in Petone from attracting customers from around the world. The unassuming record store at 147 Jackson St may not look like much from the outside, but inside is an enviable collection of more than 25,000 vinyl records collected during 20 years of business. Lo-Cost owner Murray Shaw and his business partner, Chas Mannell, have made a name for themselves in international record collecting circles thanks to their personal approach and unique finds. With the Lo-Cost collection advertised on Mr Mannell's website, Moonhop Records, their collection has been opened up to customers as far away as Europe and Asia. LOS ANGELES, March 27, 2012 /PRNewswire/ -- Shape Shifter is Carlos Santana's 36th album, and the first for his new label, Starfaith Records. Set for release May 15, the 13-song set is an instrumental tour de force featuring tracks spanning from the late 1990's to the present. It's powered throughout by Carlos' instantly recognizable virtuoso lead guitar and the Santana Band's world-class musicianship (only one song features vocals from Santana's lead vocalists Andy Vargas and Tony Lindsay). Pre-sale of Shape Shifter begins today, March 27, at all major online outlets including iTunes, Amazon and more. Starfaith Records is distributed and marketed in conjunction with RED Distribution. Carlos dedicated the album to Native American Indians, acknowledging Australia's 2008 apology to the Aborigines, and President Obama's signing of the 2009 Native American Apology Resolution. He says, "I encourage any and all countries (that have not as yet done so) to acknowledge the first people of their land, and make this a collective global effort." Shape Shifter comprises mostly original compositions that Carlos has been stashing away for such an instrumental project—long awaited by fans—and he conceived the album's sequence as thoughtfully as its track selection. The songs flow together as the magical sustain of Carlos' guitar—and the spirit behind every note—makes music that breaks through all cultural and language barriers, the music of Santana. The title track opens the album, beginning as a mellow acoustic groove, with Carlos channeling Native American spirits through chanting. The track builds to soaring heights—in addition to Carlos' driving lead, the song features Dennis Chambers on drums, Chester Thompson on keyboards, and Benny Rietveld on bass (they are the musical foundation on many of the tracks). Other highlights include a mid-tempo cover of Toure Kunda's "Dom" —Carlos and the Toure brothers' collaborations have also included "Africa Bamba" from the GRAMMY-winning album, Supernatural. "Angelica Faith," which Carlos co-wrote with Thompson, is a signature Santana ballad in the tradition of "Samba Pa Ti" and "Europa." With "Mr. Szabo," Carlos pays homage to Gabor Szabo, whose music he brought to the fore in 1970, when he fused the Hungarian jazz guitarist and composer's "Gypsy Queen" with Peter Green's "Black Magic Woman" on Abraxas. Collaborations include "Never the Same Again," which Carlos wrote with producer Eric Bazilian, and "In the Light of a New Day," which began as a demo that Narada Michael Walden shared with Carlos. "Spark of the Divine"—often played on tour to introduce songs including "Black Magic Woman"—leads in to "Macumba in Budapest," the first of two songs Carlos co-wrote and produced with Walter Afanasieff—the song vamps into a classic Santana Latin jam featuring Raul Rekow on congas and Karl Perazzo on percussion. The second, "Eres La Luz," the only track featuring vocals, highlights the irresistible Latin groove that embodies the world music essence of Santana. Shape Shifter closes with two songs that are collaborations between Carlos and his son, musician Salvador Santana—who plays piano on both—including the rousing "Canela." The final track, "Ah, Sweet Dancer," is a song Carlos first heard in a taxicab in Germany—he tracked it down in a local record store and began performing it regularly on tour. The recording features only soulful solos from father and son, offering elegant closure to Shape Shifter. Since Santana emerged from the San Francisco Bay Area music scene in the 1960s, the group has sold more than 100 million records, reached more than 100 million fans at concerts worldwide, and been inducted into the Rock and Roll Hall of Fame. Santana has won 10 GRAMMYs, including a record-tying nine for a single project, 1999's Supernatural. With the 2010 release of Guitar Heaven: The Greatest Guitar Classics of All Time­, Santana joined the Rolling Stones as one of only two music acts in Billboard history to score at least one Top Ten album in each decade from the 1960s on. Among other honors, Carlos Santana is #20 on Rolling Stone's list of the "100 Greatest Guitarists of All Time." NEW YORK, March 28, 2012 /PRNewswire/ -- The 25th anniversary of Graceland, Paul Simon's groundbreaking album that continues to influence and inspire generations, will be commemorated with musical and film celebrations stretching into the summer. Following its Sundance Film Festival premiere, the Joe Berlinger-directed documentary "Under African Skies," chronicling the creation and lasting influence of Graceland, will have its US television premiere on A & E this spring. The documentary has been garnering critical acclaim on the film festival circuit with screenings at SXSW 2012, where it received an Audience Award, the Santa Barbara International Film Festival, and the Sundance Film Festival. The film is slated for variety of screenings this spring and summer including showings at the Full Frame Documentary Film Festival, the Florida Film Festival and the RiverRun Film Festival. In May, "Under African Skies" will screen at the Seattle International Film Festival and Sundance UK as well as other festivals worldwide. The film will enjoy a limited theatrical engagement in New York and Los Angeles, beginning May 11th (check local listings for screening times). To help commemorate the anniversary and celebrate the indelible musical legacy of Graceland, Legacy Recordings will be offering several 25th Anniversary versions of Paul Simon's Graceland on June 5th: Special Graceland 25th Anniversary Collector's Edition Box Set – a 2 CD/2 DVD set which including the remastered original album, the "Under African Skies" documentary film extended interviews, the original 1987 "African Concert" from Zimbabwe, three original music videos and the iconic "Saturday Night Live" performance of "Diamonds on the Soles of Her Shoes." The box set also features the audio narrative "The Story of 'Graceland'" as told by Paul Simon, replicas of an original Graceland poster and a handwritten lyrics pad, plus a deluxe 80-page book featuring new and archival photos and interviews with Paul Simon. The box set also includes a special short audio documentary of Simon discussing the making of the record. The official Graceland 25th Anniversary Edition CD/DVD – an exclusive two disc set featuring the remastered original album with five bonus tracks and audio documentary, and "Under African Skies" film with bonus features, three original music videos and "Saturday Night Live" performance of "Diamonds on the Soles of Her Shoes." "Under African Skies" Blu-ray Disc – the feature documentary in state-of-the-art 5.1 sound with bonus extended interviews. Graceland 25th Anniversary Edition Vinyl – This audiophile edition is remastered on 180-gram 12" vinyl and includes an art-quality collectible Graceland poster and a download card with the full album plus three bonus tracks. 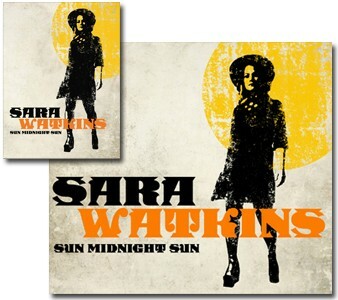 It will be available beginning Saturday, April 21 at independent retailers worldwide participating in Record Store Day. An ultra-deluxe Graceland 25th Anniversary Edition Box Set package - The ultimate Graceland set includes the boxed set, the 180-gram 12" vinyl and a signed and numbered autographed commemorative poster--will be available direct-to-consumers during a limited time exclusive offer on the official Paul Simon website (www.paulsimon.com). Sure to be one of this touring season’s hottest packages, The Gang of Outlaws Tour, brings three leaders of their respective genres together for six weeks of performances this May and June. 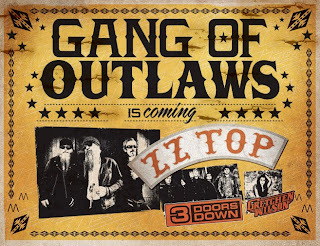 Joining the legendary ZZ Top are 3 Doors Down and, on most of the dates, Gretchen Wilson. The tour will alight at select eastern, southern and mid western venues, kicking off May 25 in Manchester, NH. ZZ Top, “That Little Ol’ Band From Texas” will be topping the bill and playing the songs that have made the Rock and Roll Hall of Famers American music icons in the forefront of blues-based rock for more than forty years. The band’s line-up of Billy F Gibbons, Dusty Hill and Frank Beard has been intact all that time – a feat unequalled in the annals of music history. Their catalog of massive hits includes “Sharp Dressed Man,” “Gimme All Your Lovin’,” “Legs,” “Tush,” “LaGrange” and more. 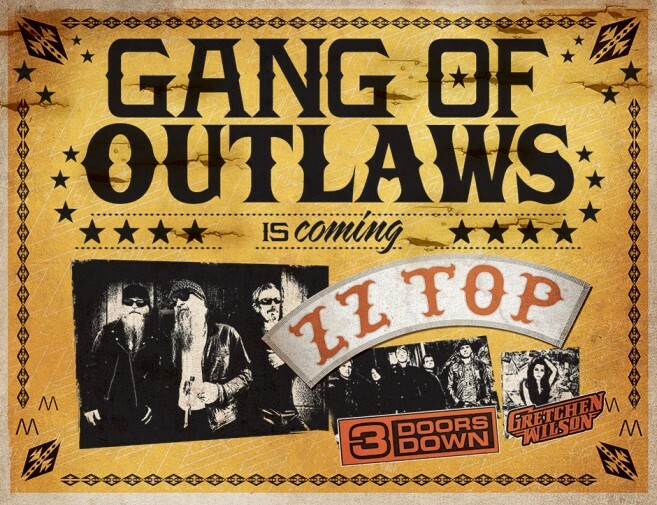 It is expected they’ll preview new material from their forthcoming release over the course of The Gang of Outlaws” Tour. Swedish metallars Grand Magus recently revealed the album artwork for their uprcoming album called 'The Hunt.' The album is scheduled for release on May 25, 2012 via Nuclear Blast Records. The artwork was created by artist Arik Roper, who also created the artwork for the "Iron Will" album (2008). "Arik Roper is a super-talented artist and we've had the pleasure of working with him before when he did the cover art for our album Iron Will. This time around with the overall feel and yrical themes of our new album THE HUNT, Arik was the perfect choice once again. We basicallly just gave him the title and he created one of the most haunting and suggestive images ever seen. He totally nailed what the album is all about. To say we are pleased is a gigantic understatement! This piece of art will stand the test of time and become classic." 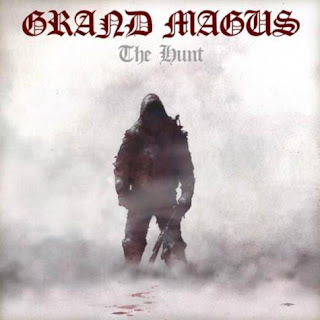 GRAND MAGUS's last album, "Hammer Of The North", was released digitally in North America in January 2011 via Roadrunner Records. The CD was recorded at 301 studios outside of Stockholm and features artwork by Necrolord. Sun Midnight Sun, the second solo album from acclaimed singer, songwriter, and fiddle player Sara Watkins, will be released May 8 on Nonesuch Records in North America, and May 28 outside North America. Produced by guitarist, singer, and songwriter Blake Mills, co-founder of the band Simon Dawes, the album features special guest appearances by Fiona Apple, Jackson Browne, Taylor Goldsmith (Dawes), Benmont Tench, and Sean Watkins. The album is available to pre-order on in the Nonesuch Store with an exclusive 9x12” print signed by Watkins. In celebration of the release of Sun Midnight Sun, Watkins will embark on a nationwide tour this spring and summer, including a series of special tour dates with Dawes. See below for all of the currently scheduled dates; for additional details and ticket links, go to nonesuch.com/on-tour. In the three years since her last release, Watkins has been busy touring the world as guest fiddle player and vocalist with the Decemberists and joining Garrison Keillor on his nationwide Summer Love performance tours, as well as acting as his first and only guest host for A Prairie Home Companion broadcasts. Sun Midnight Sun was recorded, mixed, and mastered by Shawn Everett at Zeitgeist Studio, Los Angeles, and includes songs written by Watkins (“You and Me,” “Take Up Your Spade”) as well as several collaborations with Mills (“The Foothills,” “Be There,” “The Accord,” “Impossible,” and “Lock and Key”). It also features songs by Dan Wilson (“When It Pleases You”) and Willie Nelson (“I’m a Memory”), and a rendition of The Everly Brothers classic “You’re the One I Love,” on which Fiona Apple duets with Watkins. A limited-edition 7” of “You’re the One I Love” will be made available Saturday, April 21, as part of the fifth-annual Record Store Day. Paste has premiered "When It Pleases You"; listen at pastemagazine.com. Watkins first gained recognition as a founding member of the Grammy Award–winning, platinum-selling trio Nickel Creek. When not on the road or in the studio, Watkins has guest-starred as fiddler and/or harmony vocalist on albums by Béla Fleck, the Chieftains, Ray LaMontagne, Ben Lee, Dan Wilson, Richard Thompson, and Alex Woodward, among others. Additionally, Watkins and her brother Sean continue an informal residency called the Watkins Family Hour at the L.A. club Largo, which often includes surprise cameos from friends and colleagues; free podcasts from the series are also available. All singles this week, with four 45's and one 78. Two Northern's on the Kellmac label made the top of the list both nicely going over $8k. Hot Shot Love's 45 is a very rare blues record. The #4 spot goes to a Brazilian 60s psych treasure. 2. Alabama Shakes - Live At Third Man 7"
3. Punch Brothers - Who's Feeling Young Now? 4. Jack White - Sixteen Saltines 7"
21. Useless Eaters - Moves 7"
22. Natural Child/Liquor Store - split 7"
Released in 1956: "In the Still of the Night" by the Five Satins. In 1958, Eddie Cochran recorded "Summertime Blues." The song is ranked #73 on Rolling Stone magazine's list of the 500 Greatest Songs of All Time. Also in 1958, blues musician/bandleader/composer (St. Louis Blues, Yellow Dog Blues, Memphis Blues, Beale Street Blues, Ole Miss Rag) W.C. Handy, "The Father of the Blues," died of bronchial pneumonia at 84. In 1958, Buddy Holly started a 43 date tour in Brooklyn, NY at the Alan Freed Big Beat Show. Also on the bill were Jerry Lee Lewis, Chuck Berry, Frankie Lymon, The Diamonds, Billy Ford, Danny & The Juniors, The Chantels, Larry Williams, Screaming Jay Hawkins, The Pastels, Jo-Ann Campbell and Ed Townsend. In 1960, at Owen Bradley's Quonset Hut studio in Nashville, Brenda Lee recorded "I'm Sorry." In 1964, the Beatles became the first pop stars to have figures in Madame Tussauds in London. Also in 1964, Radio Caroline, the first of the pirate radio stations, began broadcasting from a Danish Ferry in the North Sea off of England. 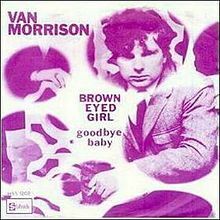 The instantly recognizable cut "Brown Eyed Girl" by Van Morrison was recorded on this date in 1967. "Brown Eyed Girl" has remained a popular classic pop song that continues to be played regularly on many radio stations and is featured on the top ten list as one of the most played songs by DJs. It appeared at No. 4 on the top 200 in 2011. It has been covered by hundreds of bands over the years and has earned many awards for Morrison, most prominently when it was inducted into the Grammy Hall of Fame in 2007 and in 2003, when it was listed as one of the The 365 Top Selling Songs of the 20th Century by RIAA. Also in 1967, working on a session for the new Beatles album 'Sgt. Pepper’s Lonely Hearts Club Band' at Abbey Road studios in London, John Lennon recorded his lead vocal for “Good Morning Good Morning,” and Paul McCartney added a lead guitar solo to the track. Lennon had decided he wanted to end the song with animal sound effects, and asked that they be sequenced in such a way that each successive animal was capable of scaring or eating the preceding one. In 1968, Marvin Gaye & Tammi Terrell released the single "Ain't Nothing Like The Real Thing." In 1969, Joe Cocker played his first US concert. In 1970, "Woodstock" by Crosby, Stills, Nash & Young was released. 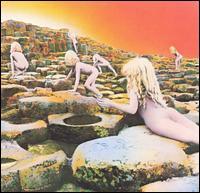 In 1973, Led Zeppelin released their 'Houses Of The Holy' album. The cover art for Houses of the Holy was inspired by the ending of Arthur C. Clarke's novel Childhood's End. (The ending involves several hundred million naked children, only slightly and physically resembling the human race in basic forms.) It is a collage of several photographs which were taken at the Giant's Causeway, Northern Ireland, by Aubrey Powell of Hipgnosis. This location was chosen ahead of an alternative one in Peru which was being considered. The two children who modelled for the cover were siblings Stefan and Samanatha Gates. The photoshoot was a frustrating affair over the course of ten days. Shooting was done first thing in the morning and at sunset in order to capture the light at dawn and dusk, but the desired effect was never achieved due to constant rain and clouds. The photos of the two children were taken in black and white and were multi-printed to create the effect of 11 individuals that can be seen on the album cover. The results of the shoot were less than satisfactory, but some accidental tinting effects in post-production created an unexpectedly striking album cover. The inner sleeve photograph was taken at Dunluce Castle near to the Causeway. The Raspberries broke up in 1974. In 1976, in Buffalo, New York, Genesis began their first North American tour since Peter Gabriel's departure. Phil Collins was the new lead singer. In 1982, in San Diego, David Crosby was arrested for driving under the influence and possession of Quaaludes, cocaine, drug paraphernalia, and an unlicensed .45 pistol. When the police asked Crosby why he was carrying the gun, he replied, "John Lennon." In 1985, more than 6,000 radio stations played "We are the World" simultaneously at 10:15 a.m., ET. 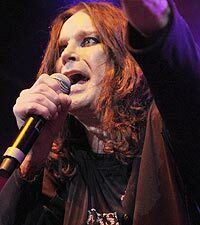 In 1992, Ozzy Osbourne caused over $100,000 in damage to the Irvine Meadows Amphitheater in California when he invited the first two rows on stage and many more join them. In 1996, Phil Collins announced he was leaving Genesis for his solo career. In 2000, Jimmy Page of Led Zeppelin won his libel lawsuit against Ministry, a UK magazine that had claimed Page watched bandmate John Bonham choke to death while trying to revive him with Satanic spells. The magazine also apologized and offered to pay Page's legal bills. The money awarded to Page was donated to the Action for Brazil's Children Trust. In 2001, jazz flutist/saxophonist/Canadian Music Hall of Famer Moe Koffman died of non-Hodgkin's lymphoma at the age of 72. In 2003, singer Rusty Draper died at the age of 80. In 2005, at San Diego's iPay One Center, U2 began their four continent, 131-date Vertigo world tour. In 2010, jazz guitarist Herb Ellis died of Alzheimer's disease at age 88.